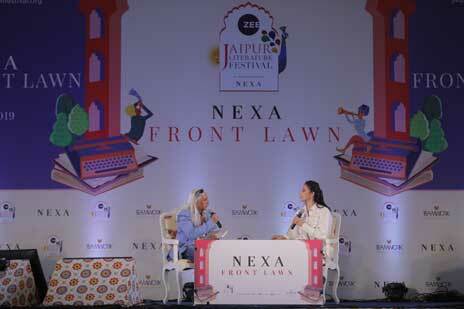 Jaipur: On Sunday 27 January 2019, the day four of this year’s edition of ZEE Jaipur Literature Festival took place at the Diggi Palace at its usual heady pace. The day’s sessions were testament to the rich variety of the multiple forms of storytelling that the Festival explores, ranging from novels and performance poetry to film adaptations and contemporary art. Furthermore, the diversity and variety of influential female voices presented by the Women Uninterrupted series painted a nuanced picture for audiences of the depth and breadth of women’s issues that countries all over the world have to tackle.